Terms & Conditions for The little events co.
We operate as a full time events business from our offices in Ebbw Vale. Put quite simply, our expertise, professional attitude, and quality of equipment are second to none. Our time are available to answer questions 7 days a week and at any reasonable time. Professional means great equipment that is well maintained. Professional means we are a not a part-time business and this is all we do. Professional means we have full public and personal liability insurance both for your and for our piece of mind. We are a small company with years of experience in both the gaming and event management industries. We offer a highly competitive service and work closely with all of our clients to ensure an unforgettable evening’s entertainment. All of our croupiers and staff are highly skilled, carefully selected professionals who enjoy entertaining rather than just dealing to guests. Our equipment is of the highest order and we use professional quality gaming chips on all of our table games. Some of our recent clients include. The Celtic Manor Resort, The Radisson Cardiff, The Cardiff Marriott, Jurys Cardiff, St. Davids Hotel, Cardiff City FC, The Vale Hotel and Resort, Hensol Castle, The Angel Hotel Abergavenny, Canada Lakes, The Peterstone Court Hotel, Holiday Inn, Decourceys, The Corran Hotel, The Grove in Narbeth, Llansantffraed Court Hotel, to name just a few. Our customers can be couples on their wedding day to large corporate customers like Amazon, Tescos, M & S and Admiral, again just to name a few. We specialise in 2 - 5 casino table events for up to 250 guests. Or taking one of our Magic Mirror booths or Ice Cream Trikes to a lovely venue. We don't claim to be the largest, just the best at what we do. Children are always welcome at our events. We do ask that all under 12's are supervised by an adult. Children wanting to play at the casino tables should be accompanied by an adult. Children love to have photographs at the Magic Mirror. We reserve the right to allow each child a reasonable amount of photographs, this is to allow other guests access to the mirror. The Garden Games we supply are suitable for children whilst under adult supervision. Idle hours are deemed as any hours before or after the event where a booth or casino tables are required, but will not be in operation. Typically idle hours come into play in situations where it is not possible to set up or take away a booth directly before or after an event. All our equipment supplied is there to entertain guests at your event. Casino chips should be returned at the end of the event and all props for The Magic Mirror Booth should be returned. We reserve the right to charge you for missing equipment that is not returned at the end of your event. * Missing chips will be charged at £1.00 per chip. * Missing Props will be charged at £5.00 per prop. With Garden Games, you are responsible for replacing any missing parts or pieces and for damage to any of the games. With most of the games, individual pieces are not available and so the hirer may need to pay the entire replacement cost of the game. Once we have received your enquiry, we will email you a detailed quote. This quote is valid for 24 hours. Quotes will not be valid after 24 hours and you will need to contact us to ensure your date is available. If you wish to proceed after the quote has been confirmed, we will require a 25% - 50% deposit. This amount varies dependant on dates and other factors. Bookings that are less the two months away will require 100% payment in advance to secure that date. Your deposit 100% secures your date. We will not cancel your event to take another booking. This can be paid through BACS. This deposit is non-refundable. Your booking is reserved for two days after your invoice has been emailed to you. After two days and without a deposit received, we can cancel your booking to take another confirmed booking. If you do need more time to pay, then let us know and we will try to work within your timescales. If we do not receive the deposit after 2 days and have had no communication with an expected date that payment will be received. We will email you to confirm that your booking has been cancelled. The balance of your booking is due one calendar month prior to your event. Failure to make payment will be deemed as cancellation of your booking and your deposit will not be refundable. Should you wish to cancel your booking, your deposit will also be non refundable and you will be liable for the full payment unless we receive 3 months notice. On some occasions customer may wish to change the date of their booking. We will allow the date or venue to change. Our rates may change dependant on the changes i.e. a midweek booking changed to a Saturday booking or an easy set-up changed to a first floor venue in a city centre. Any deposit will be transferred across to the new booking date. There will also be a £25.00 administration fee. If we cannot accommodate the changes in date, then the deposit will not be refundable. With our prior agreement, we can agree payment terms with corporate clients. Once these terms have been agreed, we expect payments to be made on time. If payments are delayed, we reserved the right to charge a late payment fee of 10% of the outstanding amount per week until full payment has been made. If we feel payment is unlikely to be made at all, then we will follow all necessary steps to recover any outstanding amounts, including legal avenues. What happens if we can't attend? After 10 years we have never let a customer down. However......If for any reason beyond our control, we cannot attend your event, we will fully refund any monies paid in full. After all that's why we have insurance. Christmas bookings require a 100% payment as deposit. There is no refund for any cancelled Christmas Bookings, (Christmas bookings are in the last two weeks on November and all December). We recognise that the vast majority of interactions that we have with people are positive and productive for all parties. Occasionally, the behaviour or actions of individuals we have dealings with make it impossible for us to continue any constructive engagement. In this small number of cases we have to consider taking steps to protect our staff or to ensure that our ability to work effectively is not undermined. Unreasonable persistence - repeated requests on the same or similar issue which disrupts our ability to fulfil our functions as a government We will aim to ensure that that a person is warned immediately if their actions are tending towards unacceptable, and what will follow if they persist. We will do so in a way calculated to defuse the situation, and the aim will be to bring the tone of communication back to a more reasonable level. We will not tolerate any threat or use of physical violence against, or verbal abuse or harassment of, our staff. Such actions may be reported to the police, and will always be reported if physical violence is used or threatened. Where we receive correspondence or a communication that is abusive towards staff, gratuitously offensive, or which makes clearly unreasonable demands, we will not deal with that communication, and will inform the correspondent of that fact. We will also warn the correspondent that if she or he continues to use such language that we will consider terminating all contact. Unattended equipment - In the event that equipment hired from The Little Events Company ltd is required to be left unattended, the hirer is responsible for providing adequate and suitable security arrangements for the safe keeping of the equipment during the period of hire. An example of this is the hire of Garden Games which are provided before the event and left with the hirer or at their chosen venue. The hirer must take all necessary steps (at its own expense) to retain possession and control of the equipment and in the event of losing possession or control will take all necessary steps to recover the equipment. The cost of replacing or repairing the equipment will be borne in full by the hirer. The hirer will pay the owner the full retail cost of any equipment that is lost, stolen or damaged beyond economic repair. With the hire of garden games, we expect to collect the games as they were presented to you. In their carry cases and / or boxes. If we are required to look around the venue, fields, tents, or other locations for missing games or pieces then the hirer will be subject to a charge. This will be charged at £75.00 per hour. This clause shall not affect your statutory rights. Termination of hire - The Little Events Company ltd shall be entitled to terminate the contract immediately and repossess the equipment at any time where the hirer is in breach of these terms and conditions, or if the hirer takes any steps, or if any process or action is started which, in the owners reasonable opinion suggests that the hirers solvency is in doubt. In this instance, the hirer authorises The Little Events Company ltd to enter any property where we reasonably believe equipment to be, in order to repossess such equipment. Drinks and food - The Little Events Company ltd insists that no drinks be placed on our casino tables, on our props, Magic Mirror Photo Booth or any other supplied equipment unless express permission is given by The Little Events Company ltd. If damage occurs to the due to wilful disregard of these rules, the damaged equipment will be off hired immediately and no refund will be offered regardless of the remaining time. In this situation, if a guest causes damage to our equipment, whether intentionally or accidentally, the hirer will be responsible for the damage and liable to pay for the cleaning, repair or replacement of the equipment. Access to the venue - Unless stated and agreed with TLE, all quotes are based on ground floor access and set-up of equipment. Should you require equipment to be set up on a higher / lower level, you the client must make us aware of these access issues. Likewise, if access to the venue is restricted or there are parking issues, again it is the clients responsibility to make us aware. By not making us aware of any of the above issues, it may cause delays to the set-up of equipment and a delay to the start of the event. If we believe there are Health and Safety issues with any venue or set up, we will first discuss our concerns with you and the venue. In extreme situations where we believe we could cause a health and safety issue, we will refuse to set-up and a refund will not be made to the client. We will take photographs at events to use on our Facebook page and on our Website. We will assume we have your permission to do so unless we hear from you that you do not want your event published. With Magic Mirror Bookings, we will post all pictures taken on our Facebook page, unless a photograph is likely to cause offence. This enables your guests to access, "like" and "share" their photographs. Force Majeure - We reserve the right to cancel an event or booking should circumstance completely beyond our control force us to cancel you booking. 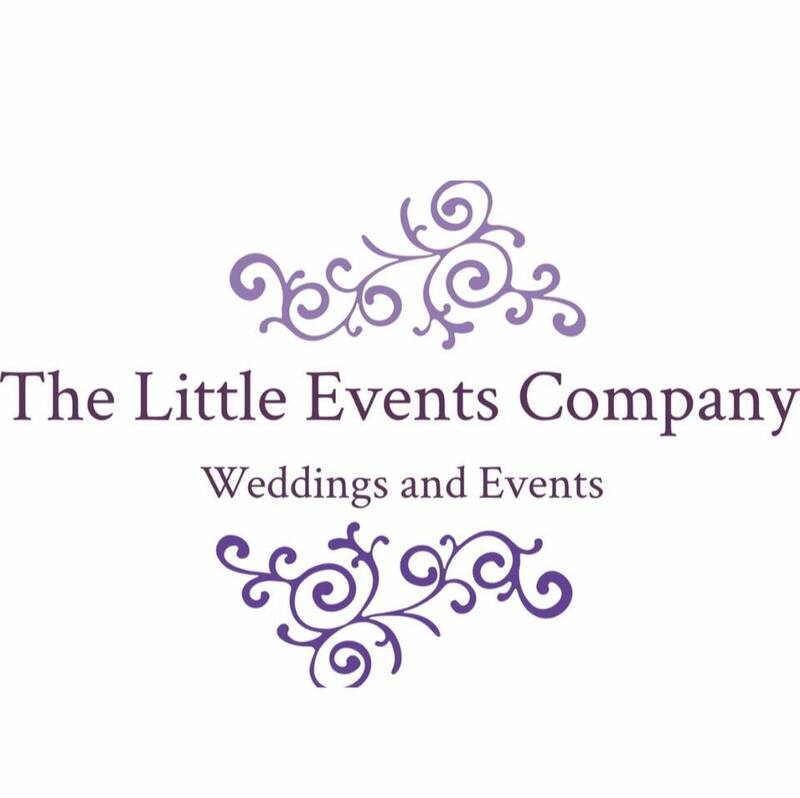 If The Little Events Company ltd is unable to appear at an event by any reason due to force majeure, including, but not limited to fire, flood, strike, transport failure, accident, injury or illness, the hirer shall have no obligation or responsibility to The Little Events Company ltd. In these circumstances, and at the discretion of The Little Events Company ltd, a full refund of all monies received, shall be paid to the hirer. All guests playing at a Fun Casino are competing for prizes alone, as no real money exchanges hands at a Fun Casino table (that's illegal, so we can't do it). On arrival at your event or party, and prior to the casino tables opening, each guest is presented with a fake $100 note (or notes*). These notes are supplied by us and can be customised for your individual event - we can even supply customised casino chips if you require (see an example of Fun Money notes in our Gallery page ) Guests then exchange these notes for REAL casino chips at any of our tables and play for the allotted period of time (usually around 3 hours). The person (or persons) who have accrued the most chips over the course of the evening are then declared the winner of the casino and presented with a prize. It’s that simple. How may tables will I need? There is no hard and fast rule and it is always advisable to discuss this with us. The main factor to consider is the amount of guests attending. It is also important to consider any other entertainment that will be taking place. For example if a band or disco is playing simultaneously with the casino then this takes pressure of the casino allowing you more freedom to reduce table numbers without leaving guests with no entertainment. It is also important to consider the impact you wish the casino to have; i.e At a fund-raising event with one hundred guests, if the casino is the main focus the 4 to 5 tables may be required. However if you are having a wedding reception with 100 people and there is a disco the 2 or 3 should be sufficient. Furthermore at large events particularly the casino is often used as a sideline entertainment with the main focus being on dancing or a comedian; i.e A large ball with 400 guests in attendance may only have 3 or 4 tables. Obviously in this case not everyone attending will be able to play, but if it is used as part of several other simultaneous entertainment options guests can choose what they wish to do, this can work very well. Do we require a special license for a fun casino event? Simply put, no. To hire a mobile casino for your event no special gaming licence is required. We follow the guidelines set out in the Lotteries & Amusements Act of 1976. Will it take long to set up and when will you arrive? It takes around 60-90 minutes to set up a Magic Mirror and Mobile Fun Casino. This can be longer is you have backdrops, lighting etc but we always allow plenty of time for the staging process, and can if needed, set up well before the beginning of your event. Like most events companies, we can have multiple bookings on certain dates. We may therefore may need to set up our equipment early to ensure all our events go ahead. We will contact you prior to the event, if we do need to set up early. Of course we will do our very best to minimise any disruption to your day. Please let your venue know in advance that we may need to set up early and let us know if there are any potential problems. I’ve never been to a casino before. Will that matter? Absolutely not, our fun casinos are great entertainment for everyone, young and old regardless of casino experience. Our professional and experienced croupiers will teach and guide anyone who requires it in a fun and relaxed manner. We will provide the winner of the casino a small prize. This will be either a bottle of fizz or a glass winners trophy. We reserve the right to use either as a prize on the night. How big is your Magic Mirror booth? The great point about the mirror booth is it requires a smaller footprint and can even fit in a small room in your home. It require a space 1.5m square as a minimum. Yes. We always provide a member of staff at every event to make sure you're taken care of properly and to help with any questions you may have. We can supply a guest book with all the picture taken through-out the day. Yes. After your event we will provide you with a USB including high-res versions of all the pictures taken using the booth. Please allow 4 weeks for your USB to arrive. Yes. We carry full Public Liability Insurance through HISCOX. Our typical setup time ranges between 60 and 120 minutes, so we will make sure we arrive at the venue at least 1 hour before the start of your event. All time required for setup is included free of charge and is not counted as part of your run time. Can a Mirror Booth fit anywhere? We have two Mirror Booths. If your venue is upstairs or has access issues, please make us aware as we may need two people to carry the equipment instead of one. Every Magic Mirror booking has unlimited visits for your guests. However, some guests, usually children can get too attached to using the mirror. This means other guests cannot access the Mirror. Based on this we have set a maximum number of prints for under 12's at 15 photographs for three hours. This applies to upgraded packages where "unlimited" photographs are added to a package. Upgrading to "unlimited" photographs gives a maximum of 3 prints per visit. In the unlikely event that a garden game you have requested is not available, (due to previous hirer damaging or loosing pieces). We will contact you to advise you and offer you an alternative. In this unlikely event, we will also provide you with an extra game of your choice at no additional charge. We will confirm with you, the client and the venue when we will drop off and collect the games. With the hire of garden games, we expect to collect the games as they were presented to you. In their carry cases and / or boxes. If we are required to look around the venue, fields, tents, or other locations for missing games or pieces of equipment, then the hirer will be subject to a charge. This will be charged at £75.00 per hour. Most of our garden games are made of wood. They therefore should not be left outside whilst it rains. If they do get wet, then please take all necessary steps to dry all the pieces otherwise they could become damaged and require replacement. We are registered as a food business with Blaeneu Gwent Council and currently hold a Level 5 rating in Food Hygiene with that authority. By law we are required to display this information at every event. Our ice cream trikes weigh in excess of 100kg when fully loaded with ice cream, please bear this in mind when considering a possible location. Please inform us if there are steps or access issues for your venue. Failure to inform us could result in your event being cancelled, with no refund available. All our ice creams, sauces and toppings have their ingredients available to view at the event. If any guests have any allergies or intolerance, then we recommend that they speak to us before the event or before they try our products. Sidolis is our preferred supplier. They are an award winning Dairy Ice Cream supplier based in Ebbw Vale. However, for an additional charge we can also supply Brooke's Wye Valley Dairy Company at an additional charge. Brooke's use their own Jersey cows to make Dairy Ice Cream on the farm. A 13 amp mains plug should be located within 20 metres of the trike or a generator made available. Should the weather be unsuitable for outdoor use, we will look to move the trike inside the venue or under cover i.e. high winds or rain.